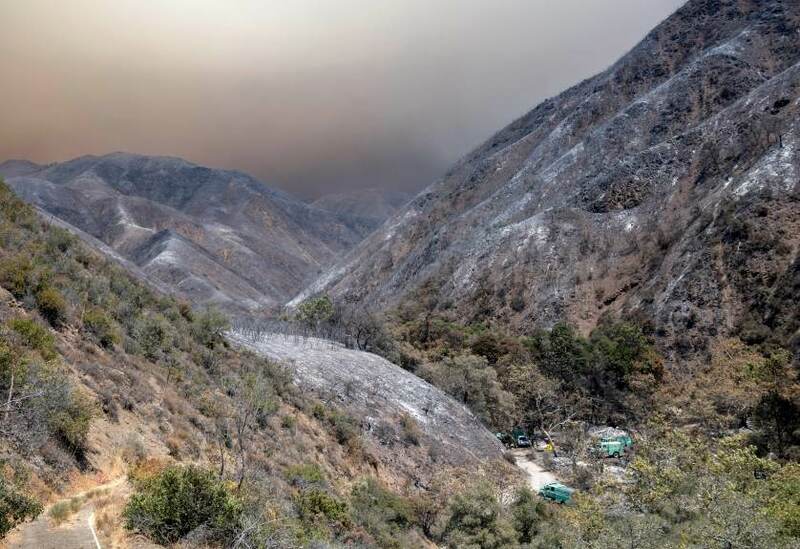 LAKE ELSINORE — County health officials this weekend warned residents in and around the Holy fire burn area to take precautions when cleaning up ash that has fallen on their cars, driveways and homes. “Just because it’s burned up doesn’t make it safe,” said Dr. Cameron Kaiser of the Riverside County Public Health Office. “Ash can be toxic even in small quantities depending on where it came from.” Ash, even in small quantities, can be toxic. Ash from burned homes and other items will likely contain potentially toxic materials, such as metals, chemicals and potentially asbestos that if breathed in or touched with wet skin can get into the bloodstream and cause health complications, officials said. Some wet ash can also cause chemical burns.Public health officials said residents should not begin the clean-up while ash is still falling and should wait until conditions improve. Once the clean up begins, ash should be moistened before it is wiped or swept off to avoid stirring up harmful dust. Experts also warned that dry wiping ash from a vehicle’s exterior can scratch its paint. They advised washing a car with pH-balanced soap because the high pH levels of ash can also corrode car paint, when combined with an alkaline soap or even just water. Ash was observed falling on cars as far west as Malibu and as far east as the Coachella Valley Saturday.The South Coast Air Quality Management District extended a smoke and ash advisory for portions of Riverside County through Monday morning. Powered by IdeaWebb © 2019 All rights reserved Citrus Valley Medical Group.